John Barrowman has confirmed that he will be returning to Arrow before the end of the series’ seventh season. While it is presumed that he will be recreating his reoccurring role as Malcolm Merlyn, precise details have yet to come forth and The CW has yet to make an official announcement regarding Barrowman’s return. Beloved by fans for his work in both the Arrowverse and on Doctor Who and Torchwood, Barrowman first appeared in Arrow‘s first season as the primary villain, Malcolm Merlyn – a billionaire businessman-turned-assassin. Merlyn would continue to appear through Arrow‘s first five seasons, being revealed as the biological father of Thea Queen, while also acting as a twisted mentor to Oliver Queen, even as he manipulated Oliver into helping him take control of the League of Assassins. Barrowman would also appear in the second season of Legends of Tomorrow, as one of the villains making up The Legion of Doom. Merlyn’s story seemingly came to an end in the finale of Arrow‘s fifth season, where Merlyn sacrificed himself to save Thea’s life by taking her place on an armed land mine. We Got This Covered reported on Barrowman’s statement that he would be returning to Arrow. The actor delivered the news while hosting a panel on Torchwood at Supanova Expo – a comic book and gaming convention in Brisbane, Australia. While not giving any other details, Barrowman said that he might reveal more on his personal Instagram account, presumably after confirming with The CW what he can or can’t reveal. While fans will undoubtedly be happy to see Barrowman return to Arrow, there is some question as to how precisely it will happen. Amusingly, the problem has less to do with how Merlyn might cheat death than it does narrowing down what avenues might be employed for him to do so. It is worth noting that Merlyn’s death is never visibly witnessed. We only hear the explosion of the landmine once all the other characters are out of visual range, and they never get a chance to look for his body. 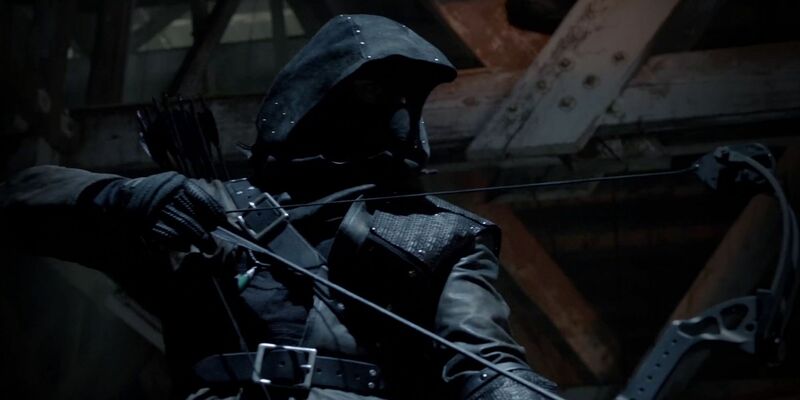 With this being the case, there is a chance that Merlyn never truly died, thus revisiting his tactic after Arrow’s first season finale when he faked his own death. Even if Merlyn did honestly die, death is hardly a permanent state in the Arrowverse, and even the relatively realistic Arrow has seen multiple characters resurrected by the power of the alchemical Lazarus Pit. A friendly speedster could also have pulled Merlyn out of harm’s way before the explosion caught them both. The possibility also exists that Barrowman could appear as his doppelgänger from another Earth, similar to how Katie Cassidy is now playing Black Siren – the Laurel Lance of Earth 2 – as a series regular on Arrow. Finally, there’s a chance that time-travel might be employed, as it was when Merlyn joined The Legion of Doom. 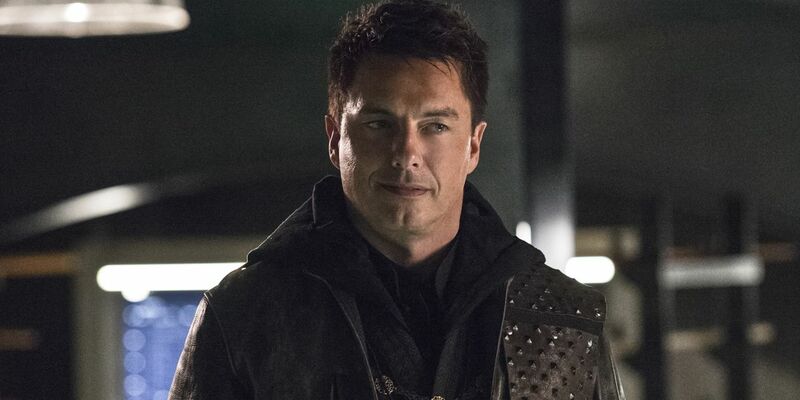 While the odds seem good that Barrowman will be playing Malcolm Merlyn in some capacity, even if it is ultimately only in a flashback sequence, there is also a chance that he might be playing an entirely new character. This is also not unheard of the Arrowverse, with Maisie Richardson-Sellers now appearing on Legends of Tomorrow as a shapeshifter named Charlie after spending two years playing Amaya “Vixen” Jiwe. However it happens, Barrowman’s return to Arrow is sure to make an already lively season even more interesting. Season 7 of Arrow airs on Mondays at 8pm EST on The CW.